A recent truemor about Google’s antitrust risk under the Obama administration raises what could become the most important technology topic of Obama’s administration. That may sound melodramatic, but as all citizens and businesses grow more dependent upon the internet so too does Google’s power grow to impact the lives and livelihoods of the world. It doesn’t hurt that Obama’s pick to head antitrust, Christine Varney, considers Microsoft “so last century” and Google a monopoly. That response has worked before, but won’t for much longer. You see, by pointing at the broad advertising market, Google tries to hide the fact that it also operates in the search and search advertising markets; both markets in which Google’s monopoly power grows daily. That’s analogous to 1990s Microsoft claiming they operated in the highly competitive “software” market, to distract from their monopoly in the “operating system” market which they used to stifle competition in browsers and other related markets. The real competition is for searchers and search advertisers — two areas where Google wields monopoly power. Google has taken multiple actions against companies, webmasters and individuals trying to reach searchers and search advertisers that Google controls. Often Google claims such actions are necessary to maintain “search quality”, just as 1990s Microsoft claimed that bundling software delivered a better quality end-user experience — the government didn’t buy it. Those claims will also break down for Google — particularly because much of the targeted competition delivers exactly what searchers are looking for, relevant sites, undermining “search quality” as an excuse. It also doesn’t help Google’s case that their actions are taken in such secrecy, with many competitors left wondering what happened and why and searchers often oblivious to their loss of choices. Q: A little more clarification to improvement in margins. Was that through better AdSense deals, or through expense controls? A: Across all categories of expenses people have been very diligent…..I am not aware of a change on the ad partnership side that would result in a margin change. That chart looks like TAC is dropping and, thus, margins are rising. However, TAC is largely driven by GOOG Network partner payouts — but the chart compares to all GOOG revenues, not just those from GOOG Network partners?!? Given that my research has been focused on Google’s Network, rather than their proprietary properties, I charted GOOG’s Gross Network Revenue, Net Network Revenue and Gross Network Margin below. I didn’t include proprietary revenues and I only included TAC from AdSense Partner payouts — providing a better apples-to-apples comparison of revenues and margins. The result, contrary to GOOG’s official TAC slide, this chart shows GOOG Network gross margins dropping over time — from 25% in Q3 2006 down to 20% in Q3 2008. Gross margins of 25% are already considered low in technology circles, shave off another 5% and I start wondering if something important is happening in GOOG’s Network (e.g. competition for publishers). It also makes me question what the market is telling us about appropriate margins for online marketplaces — should they be 50%+, like many other technology businesses. Once you take GOOG proprietary properties out of the mix, AdSense is essentially a marketplace between advertisers and publishers — with GOOG providing an opaque venue. Publishers are getting 80% of each click and GOOG is getting 20% of each click. With over a billion a quarter flowing through the marketplace, that’s a strong datapoint for marketplace margins. Are there other marketplaces that could provide a sanity check to GOOG’s numbers? The largest is probably eBay, although EBAY provides much more marketplace transparency for its participants. More transparency might suggest lower margins, because it’s harder for EBAY to hide their cut the way GOOG does. The following chart confirms that suspicion — EBAY’s Gross Marketplace Margin has grown by almost 50% (unlike GOOG’s dropping Network Margin), but overall magnitude is smaller at 9.3%. Therefore sellers are getting 91% of each sale and EBAY is getting 9%. With over $60 billion of Gross Merchandise Sales projected for 2008, that’s another strong datapoint for marketplace margins. Note, although EBAY may use other terms for gross or net revenue, using Gross Merchandise Sales provides the best apples-to-apples comparison to Gross Network Revenues in an advertising marketplace like Google — one marketplace sells physical goods, the other sells advertising. Google’s PageRank Patent in Jeopardy? John Duffy has written an intriguing article over at PatentlyO about a set of recent cases/decisions putting all software patents running on general purpose computers in question; using Google’s PageRank patent to demonstrate what’s at stake. There’s been a running debate in IP circles whether software patents would hold long-term, and as more online innovation focuses on just collecting and combining data in new ways, the attacks on software patents are getting more precise. SocialSpark Launches: Do You Smell What the Spark is Cooking? IZEA’s latest innovation is being unleashed today at Ad:Tech, San Francisco, and the stars of advertising and blogging are already lining up to meet Sparky and the world’s first Social Marketing Network: SocialSpark. 1st advertiser/brand/agency social network with direct publisher friending, blogrolls, street teams and a dashboard to manage diverse social media marketing efforts. Imagine: advertisers proactively identifying relevant bloggers and organizing vertical advertising networks for their brands. 1st face-based analytics: GOOG analytics plus MyBlogLog (faces for visitors, not just recent readers) plus visitor demographics in one end-to-end analytics, ranking, marketing and blog monetization platform. Imagine: understanding your visitors as people with faces and demographics, rather than pagevisits per unique, bounce-rates or IP addresses. 1st 100% automated, in-post human disclosure, including audit tools to help publishers and advertisers verify compliance with key corporate or industry guidelines such as WOMMA’s Code of Ethics. Imagine: a marketplace that provides the tools to maximize visibility for readers and 100% Code of Ethics compliance. 1st 100% automated, in-post machine disclosure via “nofollow”, including audit tools to help publishers and advertisers verify compliance with key search engine policies such as Google’s quality guidelines. Imagine: advertise and blog in the open with SocialSpark, without fear of GOOG penalties from SponsoredReviews, PayU2Blog, TLA or other paid-link companies that violate Google Quality Guidelines. Align yourself with SocialSpark sooner than later, I believe a fresh round of pagerank penalties are in process for those smaller networks and DIY link sellers. 1st one-click blog sponsorship ad unit requiring no blog design/template editing to position the ad unit and provides 100% publisher approval to match brands to readers. Imagine: brands you trust ask to sponsor you and it’s done with one-click. Personally, I’m not a big fan of the Blog Welcome, but I believe that is being decoupled from the easy/valuable bottom sponsorship banner. 1st clearinghouse for blog writer’s-block remedies called Sparks, providing organic post ideas such as inspiring charities, hot topics, etc. Imagine: more posts = more traffic, but without backstage passes and exclusive press releases like the elites get, how do you ramp your organic post inspirations? Sparks. I particularly like the potential for spreading your favorite posts or charities via free Sparks. Well, I can share that advertiser appetite from the private alpha is already gobbling up sponsorship of the best tech, mommy and daddy blogs. If you are a tech blogger, a mommy blogger or a daddy blogger — the sooner you signup, the more likely you are to be added to relevant advertiser street teams. As the marketplace grows, competition will be tougher and getting noticed by your favorite brands could take more effort. RankSpank Makes Me Laugh…What’s Your RealRank? As a VC you get to live vicariously through your portfolio companies. Sometimes that is exhilarating, other times it is frustrating, and quite often it’s just plain funny. This morning, I’m laughing. Given some of GOOGopoly’s moves in late 2007, more and more bloggers and advertisers are realizing that PageRank has no direct correlation to traffic and pageviews. A link-savvy PR5 site can have ~100 visitors and plenty of PR0 sites have thousands of visitors. Alexa tries to improve on this with sampling estimates for traffic, but it’s common knowledge that sampling errors and gaming drive a wedge between Alexa stats and reality. Being in the social media marketing business, IZEA saw this as a problem and an opportunity. 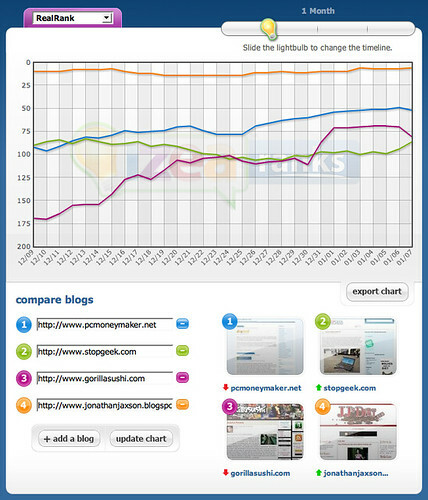 The result was RealRank, an open ranking system based upon real visitors, pageviews and active links (e.g. links that actually refer people rather than hidden on footers etc.). IZEARanks.com was launched with RealRank tools and reporting. So, how do you let the world know when you’ve got a better mousetrap? Well, one way is the town crier of our time: funny videos. GuessNow: Can Predictive Markets Be Fun? I’ve always been intrigued by the potential of predictive markets: speculative markets created for the purpose of making predictions. That’s why I was excited when Delray Beach, FL-based GuessNow contacted me about sponsoring an FVB review via PPP Direct. It was also timely because I’m following up my completion of Chris Anderson’s The Long Tail, with James Surowiecki’s The Wisdom of Crowds. The broad idea behind predictive markets is that large populations of people, who stand to benefit from accurate predictions, can become an engine for predicting future events. If you read the wikipedia article I linked above, you’ll find that there is some controversy around the accuracy of results and various approaches to received optimal results. GuessNow.com has an interesting management team, with John Ferber leading the charge as CEO. John, with his brother Scott, previously founded Advertising.com before selling it to AOL in 2004. I like serial entrepreneurs. I like the connection of advertising minds to predictive markets, because I’ve seen too many companies pursue “cool ideas” like artificial intelligence, behavioral modelling or predictive markets with business models as a secondary concern. I also like that the site feels a bit more engaging/fun than you might expect from a predictive market. Turning to the site itself, I thought John’s incentive system was interesting. Instead of a pure stock market type of system with various prices for different outcomes, GN implemented a point system. Specifically, users can earn points for answering questions correctly (more points for correct, fewer points for incorrect), answering questions early (more points for early, fewer points for later), and avoiding group think (more points for correct answers going against the crowd). They also have a bonus point system for site participation and advertiser offers, but I don’t entirely understand the “bonus” section of the site — that section feels more like rewarding site behavior and CPA advertising than predictive. Points are then redeemed for cash, according to a “point value” decided by the total Prize Pool for a month divided by the total number of points awarded in that month. For example, if 500,000 points are awarded in a month with a $5,000 Prize Pool, then each point is worth $.01. If you earned 1,000 points that month, then your points are worth $10.00. I believe a similar calculation happens for the Bonus Prize Pool and bonus points. Why would you buy a hybrid car? Will Facebook do an IPO before Halloween? Will either Yahoo or Google acquire Facebook this year? Will there be a Microsoft announcement about the purchase of Yahoo by the end of this year? Will venture capitalists from the U.S. continue to encourage innovative entrepreneurs in India ? With the overwhelming popularity of blogs, YouTube, and interactive reality TV, do you feel that we are at the threshold of Andy Warhol’s “15 minutes of fame”? The model is pretty flexible. In addition to predictive questions, I also noticed trivia-type questions (e.g. “name the state that…”) and survey-type questions (see hybrid car question above). It’s not clear these are necessary to keep people engaged for predictions, but I can see them opening monetization options. 3) I may have missed it, but I couldn’t find where to compare past group predictions with past actual results — that is the question everyone has about such markets and there has to be some data you can share, probably great linkbait. And, lastly, I’d be remiss if I didn’t mention GN’s points-based affiliate program and blog. I don’t know GN’s funding status, but this review has prompted me to dig a little deeper. Thanks for reaching out to me guys! What is the Meaning of Life? Ask Yahoo! 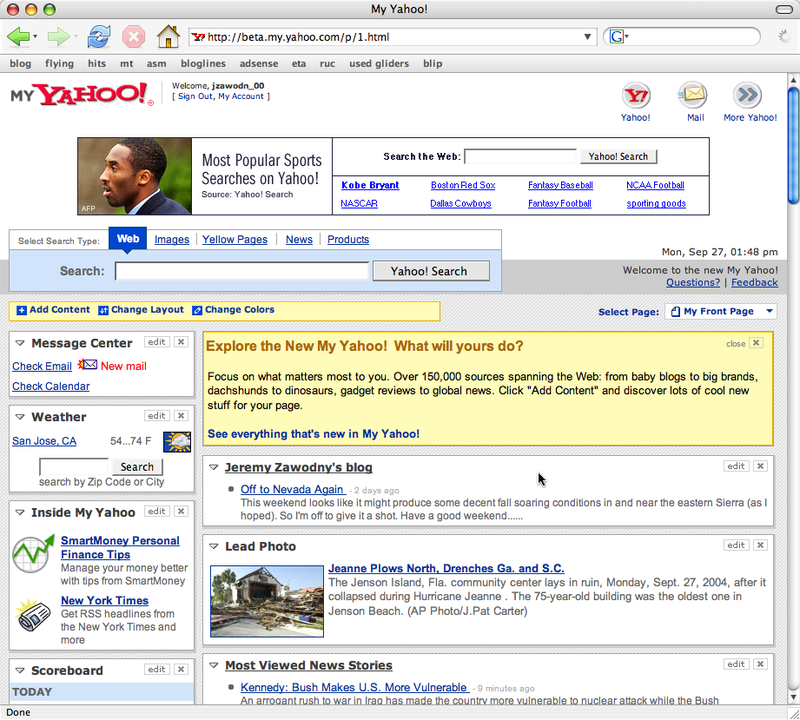 When Yahoo and Google each launched their Answers platforms I was cautiously optimistic. I mean, where better to ask “What is the meaning of Life?” in hopes of distilling insight from a world of perspectives. Since those launches, Yahoo has done better than I expected, while Google has done worse (AKA, dead). This post isn’t about comparing the two services, but I will note that Yahoo Answers benefited from a more social atmosphere (helping instead of consulting) and recently launched even more social aspects. 1) What is Venture Capital? 2) What advice would you give a start-up company? In exchange for doing so I received 2 “points” for each answer, with the potential for more points if my answers are chosen as the best. I haven’t used the service enough to know why I should be excited about these points, but the potential for focused knowledge sharing is exciting enough. If you haven’t tried Yahoo Answers you might want to, particularly if you can share some insights on the Meaning of Life, only 3 days left!